2. Paper Applications, which take 4-6 weeks for processing. See "Financial Aid Forms" for PDF versions of FAFSA. 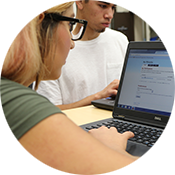 Students will be required to submit/renew the FAFSA (Free Application for Federal Student Aid) online at www.fafsa.ed.gov or by completing a paper FAFSA and mailing it to the Central Processing Center. Who is Eligible to File a FAFSA? Are U.S. citizens or Permanent Residents (who have an "Alien Registration Number"). Are not in default on an educational loan nor owe a refund on federal (or state) student aid. Have registered, or formerly registered, with the Selective Service (for male students only). Are enrolled in an eligible program for the purpose of obtaining a degree or certificate. Have the ability to benefit from the education offered. 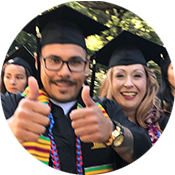 This can be met by holding a high school diploma, passing an approved test in the Assessment Center or securing a GED diploma. Have declared an educational goal like: AA/AS, certificate, and/or transfer. Are making satisfactory academic progress. What do I need to file my FAFSA online? STEP 3: Apply online & submit application.